Two days after lodging an appeal against a three-game suspension for Neymar, Barcelona announced that they will not call up the Brazilian star for today’s match against Real Madrid. The club filed an appeal on Friday with Spain’s Court of Arbitration for Sport, asking for the ban to be suspended until their appeal was processed. 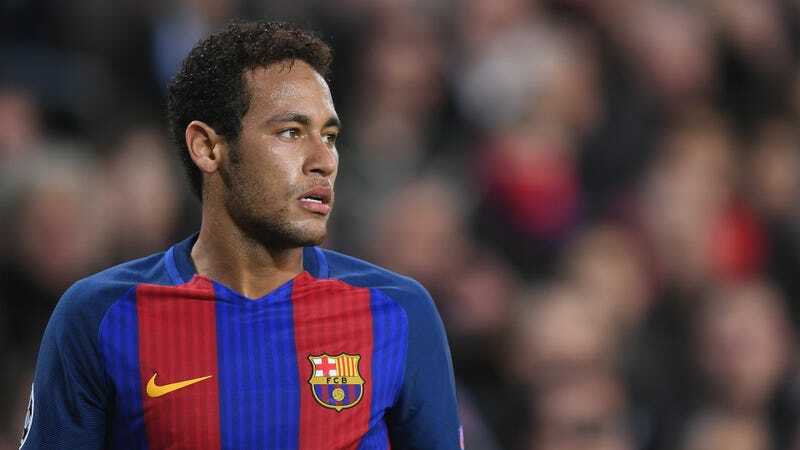 Though the court of arbitration was not able to call an emergency session to discuss the appeal on Saturday, as they’d hoped, they released a statement saying that the ban was enforceable while the appeal was pending and Barcelona could be punished for playing Neymar today. Barca quickly responded by saying that the statement was only the opinion of the court of arbitration’s president, Enrique Arnaldo, and they would wait for authorized communication from the court as a whole. Yesterday, the club’s vice president told ESPN FC that Neymar would travel to Madrid with the team for today’s match unless there was official word telling them otherwise. 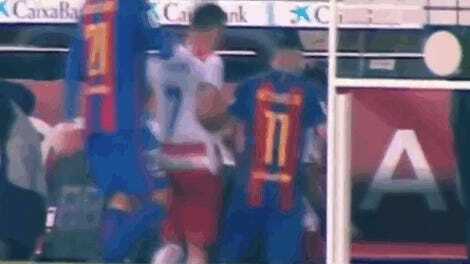 This morning, however, Barca backed down and announced that Neymar would not play. Neymar was banned three games for his behavior in a match two weeks ago, picking up two yellow cards and then sarcastically applauding referees as he walked off the pitch.